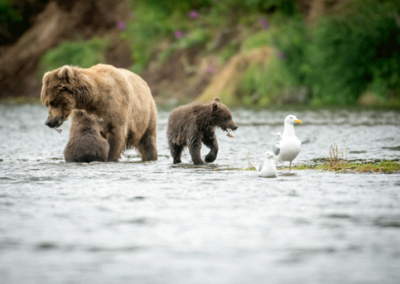 In addition to fishing, we offer fully guided Alaska Bear viewing via boat, during the Summer months! Our trips depart from Homer, Alaska on our 50Ft Delta with Captain Garrett. 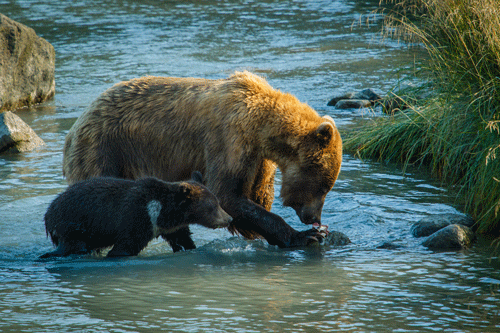 Once aboard the M/V Sundy, you’ll embark across Cook Inlet to Lake Clark National Park. 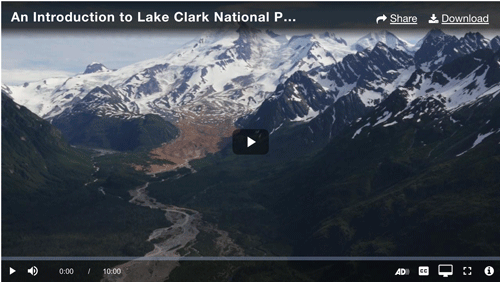 Once we enter Lake Clark National Park, we will skiff all guests to shore and begin our adventure. 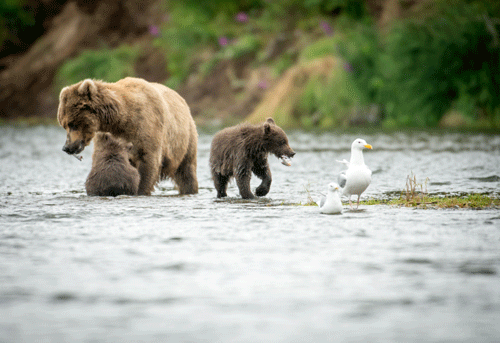 Beyond the marsh, Alaskan brown bears gather to feed, giving us the perfect opportunity to scout from a safe distance. 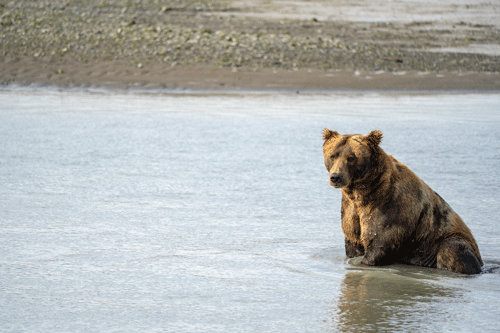 As a rule, we generally expect to see anywhere from 10-20 Alaskan brown bears. 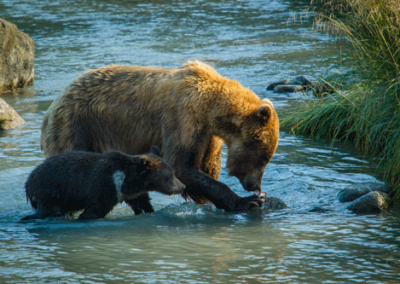 From big males (Boars) to Females (Sows) with cubs, you’ll truly have the chance to experience Alaska bear viewing. Now that you’re hooked for a thrilling adventure, let’s get you ready! Rain gear, packed lunch/ snacks, water/ beverages, hip waders for getting on and off the skiff, and don’t forget your camera’s! 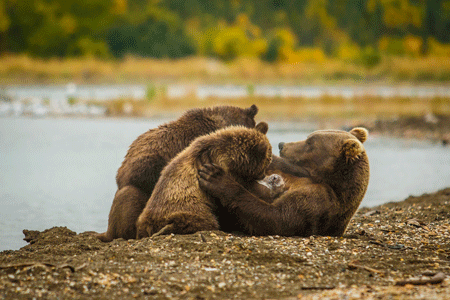 Interested in booking Alaska Bear Viewing via boat instead of a plane? Here’s why we agree! 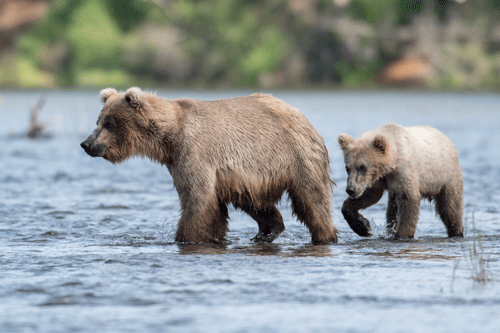 Coupled with Alaska Bear Viewing, you also get the opportunity to see more wildlife when touring via boat. In particular, you’ll see ocean wildlife such as Ocras, porpoises, sea otters, seals, a variety of seabirds, and much more! Don’t forget the volcanoes and close up Alaskan scenery along the way! As the largest vessel in our fleet, our 50Ft Delta is guaranteed to add comfort and ease with a spacious viewing deck and a newly remodeled indoor lounge. 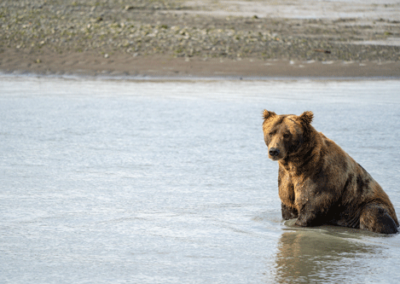 Booked for comfort and certified to hold up to 25 passengers, we limit our Alaska Bear Viewing tours to 20 passengers per trip. Captain Garrett and his crew are widely known for their exceptional customer service, attention to detail, and more importantly, their experience. 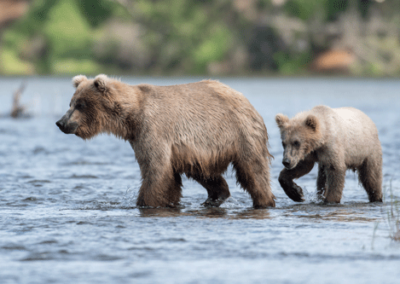 On behalf of Ninilchik Charters, we look forward to having you aboard for an Ultimate Alaska Bear Viewing trip with us!